Tara is one of my childhood friends I grew up going to church with. And now we’re both grown ups, not sure how that happened. Her daughter Haley and my Ellie are pretty close in age, so it’s fun seeing them interact and play together. Haley has the most perfect blue eyes and a smile that lights up a room. 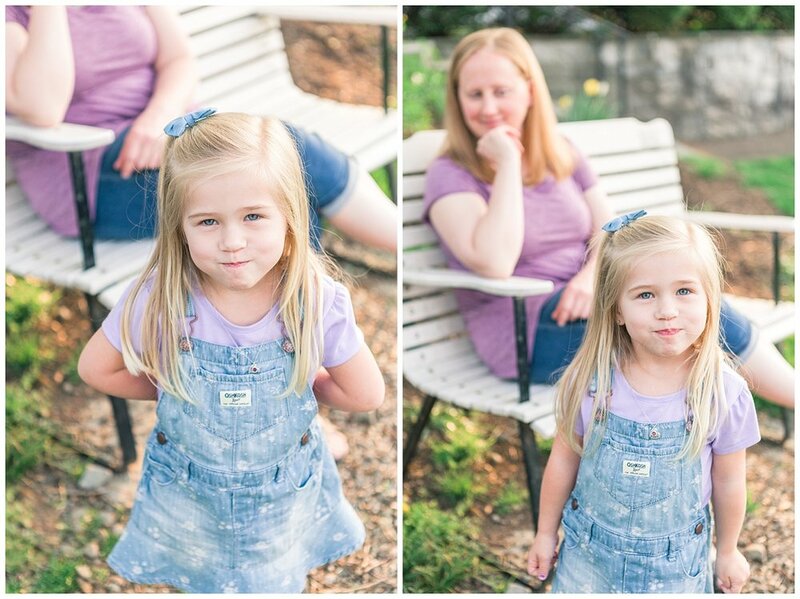 She’s really a joy to be around, so I knew our mommy & me session would be a bunch of fun. We started our session by feeding some ducks and then wandering around our cute little hometown of Lititz, seeing how many gorgeous trees in bloom we could find, before ending our evening with a yummy treat from Isabella’s Ice Cream. I think she would've stayed and fed the ducks all day if given the chance.